What better way to celebrate the season than by singing The Christmas Song! Especially designed for Senior Adult Choirs, this musical traces the message of Christmas from prophecy to the angels' announcement right up to this very day. 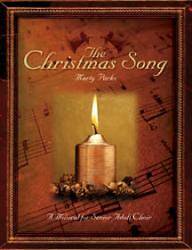 With accessible vocal ranges, large print and no repeats, The Christmas Song is a 35-minute work featuring an exciting blend of familiar carols, newer songs of the season and well-loved worship songs. All in all, an ideal resource for Christmas worship and community outreach.